New Guy Here. Can't figure out: Beveling? UV's? I’m new to SketchUp and I’m from the world of Zbrush and Blender. Sketchup is really fun and fasts that’s the reason I’m considering it, but I I can’t seem to find intuitive tools for beveling, and I hadn’t seen a UV editor. Are you all just leaving your models with harsh edges and skipping UV layout for texturing? You can use native Follow Me tool, or a plugin like Fredo’s Corner or Round Corner ( which can bevel as well as round). I will add beveling when it makes sense for the model. It usually doesn’t for the modeling I do. I did on this model, however, so I’d get highlights on the edges of the shoulders on the handles as well as on the threaded clamp block. As John suggests Fredo’s Round Corner and Fredocorner are helpful for this although it can also be done in a variety of ways with native tools. I’ll stay native until I figure things out. How in the world did you put that threading on the handle? Man, you can create really incredible details in Sketchup. Wow. What happens when you wanna add further details to sell realism into the metallic textures? Such as fingerprints, paint chips, dirt, etc. My end goal is always to create an object that’s low resolution with clean UVs for a PBR workflow. Yeah, UV’s not so much. Sketchup doesnt really do UV’s, if you are on a Windows machine, you can do excellent unwraps with WrapR but the native UV stuff is basic/ non-existent to say the least but I think/hope the Sketchup Team are on it. Unreal’s Datasmith feature is the major reason I’m here. Revit and Max are not even an option for me, way too expensive. I was just making sure I wasn’t overlooking something because I thought beveling and UV’s were pretty standard for modeling, those were actually the first features I searched the viewport for. I’ll just export the model to obj and do the UVs into either Zbrush or Blender if necessary. I’m going through the tutorials as we speak. Unlike Blender where beveling can be applied as a modifier, in sketchup it has to be a physical part of the geometry. I tend to duplicate the model for a “rendering” version and apply the bevels to it using the various methods described above so that the render looks more realistic with edge highlights etc. The reason to keep the original copy “unbeveled” is so that if you need to go back and change stuff you will have clean geometry to push pull without the beveled edges getting in the way, although there are other ways to move geometry with discreet selections and the move tool (and not use push pull). As for texture mapping, I have found SketchUV mapping tools to be helpful, but the triangulation geometry in SU does create some issues for easy mapping. A relatively new SU process uses quad modelling (quadface tools ext.) and the extension SubD which I would describe as parametric smoothing / edges. The UV mapping is easier as well. But Blender has the modifier feature for a non-destructive workflow. But you can also enter EDIT mode for any object and apply bevels destructively. Also, in that video, he’s just projecting UV’s on the different polygons. I would need more control than that, so I’ll definitely use either Zbrush or Blender to get a more professional result. I’m starting to get a better understanding of how Sketchup will work for me. I hope they research UV tools like Unfold3D or RizomUV and make a simpler more Sketchup Styled approach. Oh cool. That ext SubD is more of what I was trying to do. Just to demonstrate the bevel issue, for simple shapes the move can work, but for more complex shapes a lot of beveling can be troublesome. 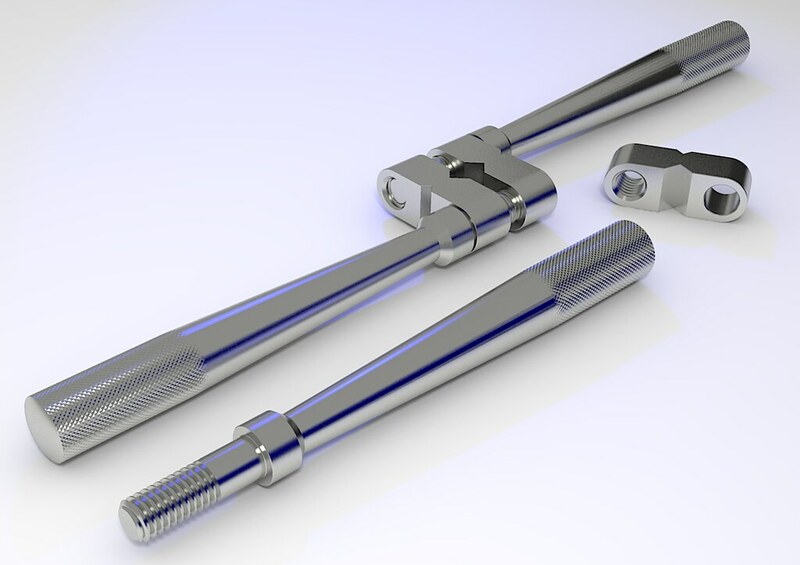 Howerever, Fredo’s new Fredocorner tool is able to undo beveled operations once applied with the repair option, so saving the need to duplicate? That makes things more complicated than it needs to be. exactly, maybe I hadn’t written it properly, but meant to say that the benefit of blender is that it works with modifiers in that its non destructive, whereas SU it is (except Fredocorner can now undo beveling) so its non destructive. WrapR maybe better for you than SketchUV, but for sure, Blender has better UV capabilities. Not sure if any of the standalone renderers can do it, but Lumion and Twinmotion? have the ability to add beveled highlights in the rendering process without them having to exist in the model. I’m rendering using UE4 and hopefully, it has a node for solving some beveling in the texture. Because that sounds like a better solution. Lumion and Twinmotion are way out of my budget. Before I spend that kinda money I’ll just purchase dual RTX 2080 TIs. The threads were drawn with a profile made to match the actual threads (3/8"-16) extruded around a helical path. Man, you can create really incredible details in Sketchup. Yes. Anyone can do this with SketchUp. You could do that with appropriate textures but much of it would be left to the rendering program. as I facepalm while trying to Google “What is a HELICAL PATH”? Just kidding. Thanks for the answer. I’ll give it a shot. Worry about getting proficient with the basic native tools first.